The ASHRAE Level 1 audit is commonly known as a “simple audit”, or “screening audit” and it is the basic starting place for creating energy optimization. It entails brief selection interviews with building operating staff, an overview of the facility’s utility bills and additional data, and an abbreviated walk-through of the building. The ASHRAE Level-1 audit is focused on the identification of the potential for energy efficiency improvements, understanding the overall building configuration, and defining the type and nature of energy systems. The simple audit should create a preliminary energy-use benchmark and a brief report describing the results, which can sometimes include identifying a number of recognizable efficiency opportunities. Usually this particular report doesn’t provide comprehensive recommendations, aside from very noticeable projects or operational problems. 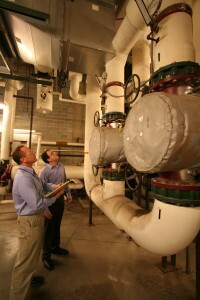 The ASHRAE Level 1 audit is designed to: create energy optimization; help the energy team understand how the building performs relative to its peers; establish a baseline for measuring improvements; determine whether further evaluation is needed; and when so, where and how that effort can be focused. This can help minimize the price of the much more intensive higher-level work involved in the ASHRAE Level-2 and ASHRAE Level-3 audits. The Level-1 will also outline the number of possible financial bonuses available through Federal, State, Local, and Utility sources.